It is a never-ending downpour of praises for Gautham Vasudev Menon as the filmmaker has been highly regarded for his fabulous success of ‘Yennai Arindhaal’. 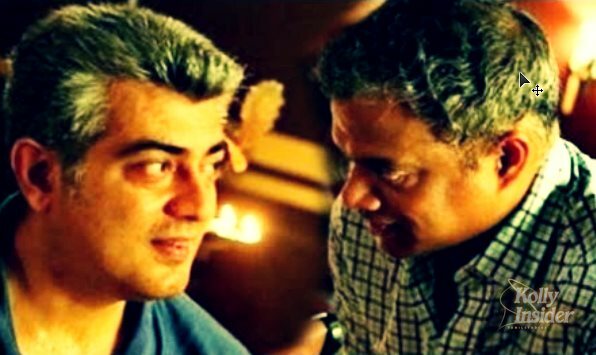 Gautham Vasudev Menon is so much thankful to Ajith Kumar for offering a commendable comeback with ‘Yennai Arindhaal’. The director was all set to resume the shoot of his tentatively titled ‘Satrendru Maarudhu Vaanilai’ starring Silambarasan and Pallavi in lead roles from Feb 21st. It was earlier mentioned that soon after the completion of this project, Gautham Menon would be teaming up with Chiyaan Vikram for an edge-on-seat action thriller. As things are happening at full swing, there seems to be a sudden change of plan with Gautham Vasudev Menon as the close sources reveal that the director is likely to team up with Ajith Kumar again for a new project. With all the news and media channels consistently flashing the director on headlines, he has some news plans of working with Ajith Kumar again. Not shedding more lights on this project, the director has just unveiled that if he can come up with an engaging screenplay of plot revolving ‘Sathya Dev’ character for the sequel of Yennai Arindhaal, he would get a nod from Ajith Kumar. Last evening, there was a news strongly rounding on the micro-blogging pages that a reputed Bollywood production company is planning to sign up both Ajith Kumar and Gautham Menon for a project, but everything remains tight lipped by the close sources as they say that it’s too early to make any affirmations on this.